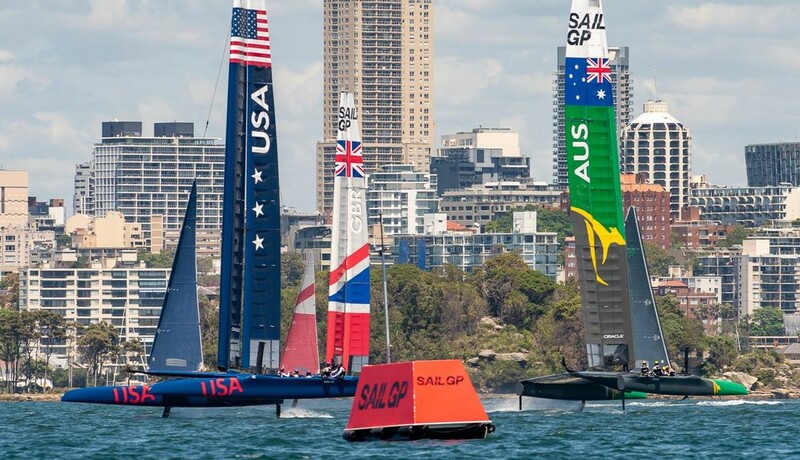 SailGP has announced comprehensive multi-platform coverage for the first event of the new multihull world series which premieres in Sydney this week. SailGP’s global distribution plan includes broadcast agreements that ensure coverage in 90 countries, across five continents, offering fans unprecedented access to the new global sports championship setting out to redefine sailing. Fox Sports will carry live coverage in Australia – home to the inaugural SailGP event on Sydney Harbour, February 15 and 16. The television broadcast will be bolstered by live streaming coverage on Kayo Sports. In the UK, BT Sport 2 are showing the event live and full race replay and highlights at the times shown below for UK. Also available will be the SailGP APP with supplementary video and data and a full race replay. A full race replay will also be available on Facebook in the UK, timing not confirmed. Friday, Feb 15 between 4-6 pm (AEDT) – That is Friday Feb 15 between 5-7 am (GMT) in UK. Saturday, Feb 16 between 3-5 pm (AEDT) – That is Saturday Feb 16 between 4-6 am (GMT) in UK. Canal+ will provide dedicated coverage of each of the five events in France throughout its multiple platforms. DAZN will feature live and delayed coverage in Japan, while SKY Sport in New Zealand will carry the live feed, alongside free-to-air coverage on Prime. The coverage timings vary over the various broadcast territories and platforms, with a range of highlights and delayed programming across SailGP’s various social media platforms.